The Building at 1449 Potomac Avenue began its life in 1925 as Murray’s Bowling & Billiards operated by Edward James Murray. It was designed by Pittsburgh Architect Charles R. Geisler who was responsible for the Rex theatre in the Southside Flats neighborhood and the South Hills theatre that once stood on the corner of Dormont & West Liberty in Dormont. Opening its doors in 1926 as a silent film theatre, Murray changed its name to the Hollywood shortly after. The original building included two storefronts, one on each side of the theatre’s main entrance and a cast iron marquee adorning the facade. With a seating capacity of 650 on the main floor the auditorium had courtyard balconies flanking the screen to mimic an open air theatre. The theatre was always used as a community gathering space in addition to a movie house. The Dormont tradition of taking pictures at the theatre with Santa during Christmas time could have its roots as far back as 1927 where newspaper clippings detail a similar event with Santa passing out gifts to neighborhood kids. 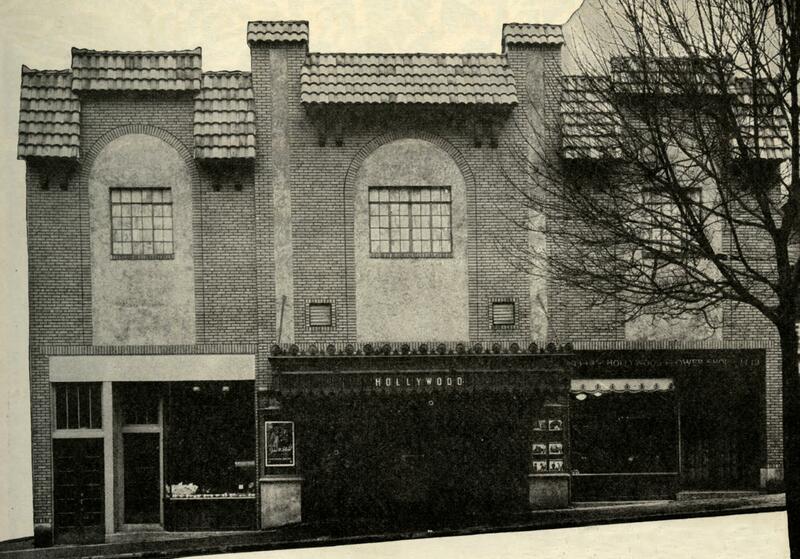 The theatre also hosted other events like a “Miss Dormont” contest, a harmonica competition, talks, and more. The Hollywood added an organ around or before December 1928, and was fully wired for sound in April 1929. The Warner Brothers theatre chain acquired the venue the following year for $200,000. The theatre was closed (possibly in part due to the Great Depression) in 1932 but reopened in November 1934. While it was closed the sound equipment and screen were updated and the building was remodeled and redecorated. In 1948 the theatre was closed for another renovation; local architect Victor A. Rigaumont was engaged to complete the design. Rigaumont was a celebrated and prolific architect who designed or assisted on the Barry and Melrose theatres in Pittsburgh, the Denis in Mt. Lebanon, PA, the Oaks in Oakmont, PA and others in cities like Erie, PA, Fairmont, WV, and Geneva, Ithaca, and Utica, NY among others. The 1948 renovation incorporated the two storefronts attached to the theatre in order to expand the lobby. The auditorium was also expanded and updated to an Art Deco style and plans show the seating capacity at this time to be 938. The 1948 alterations also saw a new, larger marquee. Gone was the original iron marquee, which was replaced with a modern tri-faced sign complete with hundreds of flashing bulbs, and a neon ‘WB’ for the Warner Brothers Chain. The Hollywood continued to serve the community over the next few decades with films and special cartoon programs for kids. Warner Brothers transferred ownership to the Stanley Warner chain and later sold to the Cinemette chain, which operated it for most of the 1970’s. 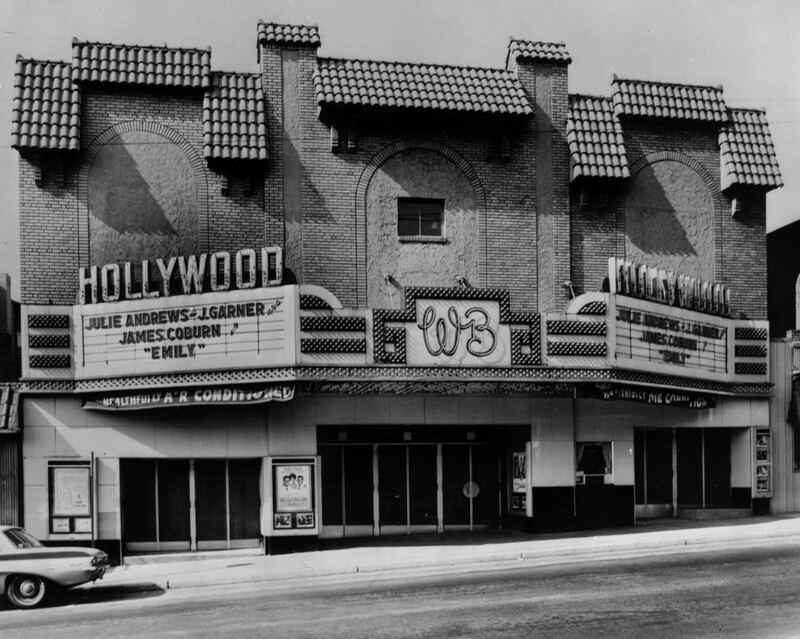 In 1982, Potomac Avenue was widened forcing the theatre to remove the 1948 marquee in exchange for one that was flush with the building’s façade. Upgrades were made through the 1980’s but the theatre closed in 1988 (it was being operated by Cinema World at the time). Local businessman David Bevilacqua reopened the theatre in June of 1990 upgrading the seats and projection equipment, and shortly after the sound equipment too. Bevilacqua, who was also operating the Rex theatre at that time, ran the Hollywood until 1995 when it was sold to CineMagic. 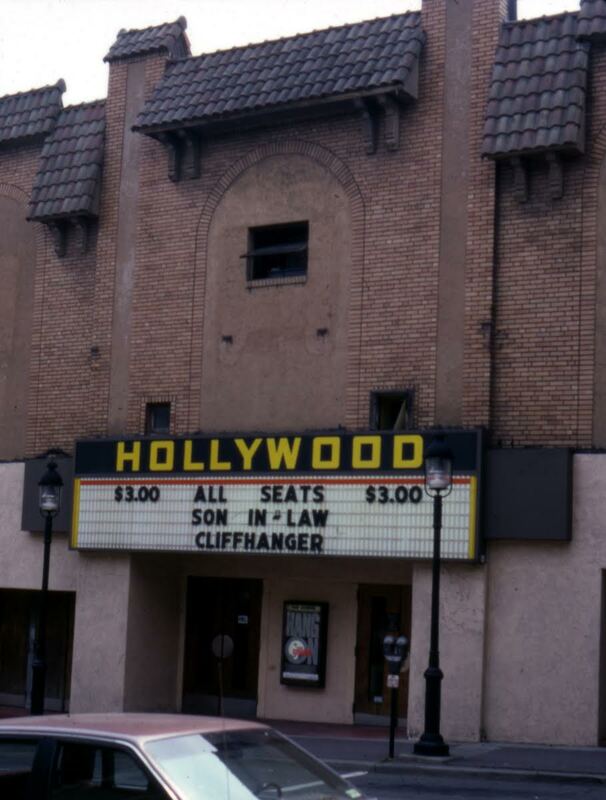 The Hollywood remained open until 1998 when it closed down for nearly a decade. It was purchased by Hollywood Partners, LLC. and renovated by the Bradley Center in 2006; reopening in 2007. During the renovations by the Bradley Center the capacity in the auditorium was reduced to just under 300 in order to allow for more luxurious seating. Sadly the theatre went dark again in 2008. It was opened again in 2009 but closed the following year. 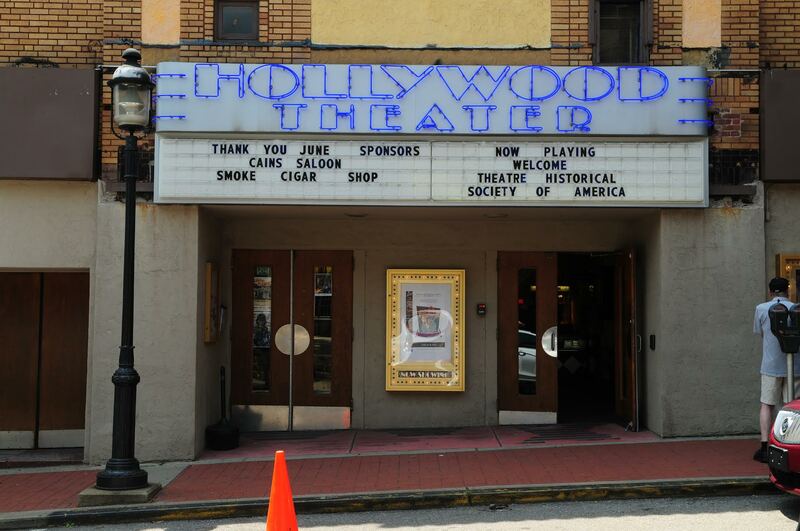 In 2011 a community group organized by Dormont resident John Maggio and other community members, with the support of Pennsylvania State Senator Wayne Fontana, rallied to reopen the theatre. The Hollywood remained in operation hosting events like Breakfast and a Movie, the popular Rocky Horror Picture Show, and others when it was purchased by the Theatre Historical Society of America in early 2018. THS aims to continue operating the theatre as a community resource by showing movies, hosting programs, and community events while bringing showmanship back to Main Street!